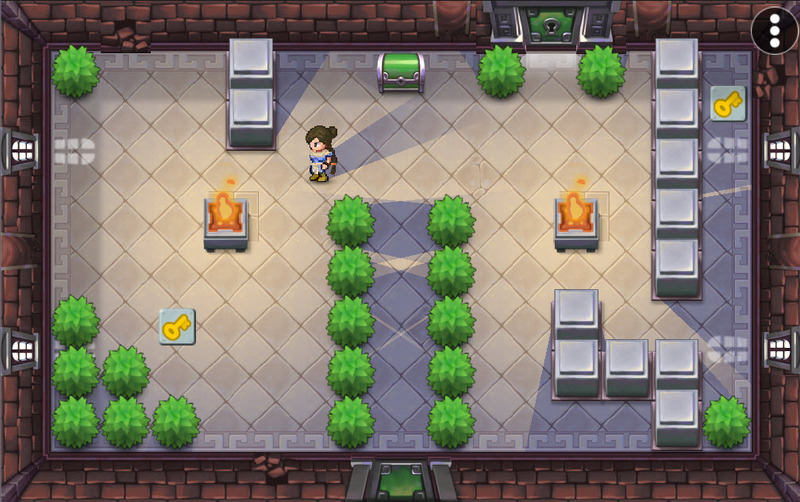 Early screenshot of the very first room of the game. No enemies or dangers present here, but look at those beautiful 2D shadows! The gameplay premise is simple enough; You control the protagonist, her name is “Haha”, as you gather a few collectibles in each room (see the Key items above). Once you collect each, the chest opens and reaching the chest opens the door to the next room. However, there will be obstacles that block your path; enemies will shoot at you or chase you down. You can’t fight the enemies, you have to use your brain to block their path or block their line of sight so they can’t get you. Release date is TBD. Rating will be equivalent to an ESRB “E” rating.